You dropped your iPhone. It shattered your screen, it shattered your heart, heck it might have even shattered your dreams (okay maybe that was an exaggeration but it definitely stinks to crack your screen). Now your left with a decision, do I keep using this iPhone and deal with the judgemental looks and bandaged fingers or do I shell out $150 for Apple to repair the screen? You might not know it but there’s a 3rd option. You can sell your iPhone with a cracked screen for cold hard cash. Professional refurbishing companies buy up cracked iPhones in bulk and replace the screens for much cheaper than Apple can. That means your cracked iPhone is actually worth quite a bit. In many cases an iPhone with a cracked screen can be re-sold for only $30-$50 less than one in good condition. You can use that money towards the purchase of an upgraded iPhone or even just to buy the same model again and only take a $50 loss instead of $150+ from getting it fixed by Apple. Before selling your cracked iPhone be sure to erase your data by going to settings menu – general – reset – erase all content and settings. Then decide where you’re going to sell it. There’s a much smaller market and demand for cracked iPhones than ones in good condition so we’d advise against trying to sell locally and instead find a buyer online. For broken iPhones ebay and buyback websites like GadgetGone are going to be your best bet. 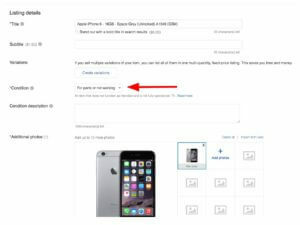 If you decide to sell your cracked iPhone on eBay make absolutely sure that you select the “parts or not working” condition category. 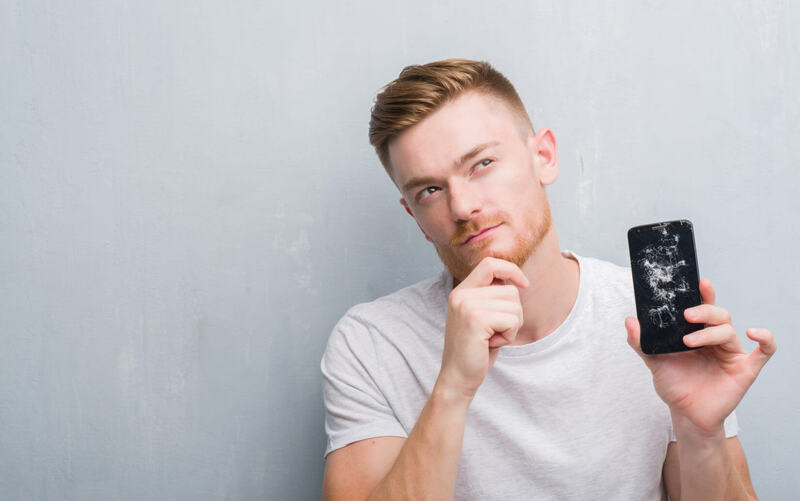 If you select the “used” condition category there’s a good chance that a buyer will not read your ad and buy it under the assumption that your iPhone is functional and in good cosmetic condition (and we both know that’s not true). We recommend using an auction style listing for cracked screen iPhones as it’s very hard for novice sellers to find the perfect price with a buy-it-now listing. You don’t want to price it too low and leave money on the table or too high and have to re-list it because it didn’t sell the first time. Keep in mind that if your item sells PayPal may hold the funds for up to two weeks and your buyer can return the item if they feel you didn’t describe it accurately. If you’d rather not deal with the hassle of ebay, a buyback website is going to be your best option. All you have to do is get an instant quote online, ship your iPhone and wait for the check to come in. A word of caution though, while buyback websites are very easy to use, many of them don’t offer the best price for cracked iPhones. Frankly, many don’t even offer a decent price. 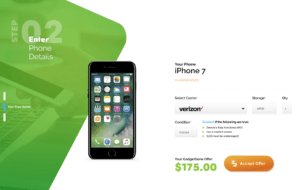 Quite a few buyback websites just have a “broken” or “damaged” condition category that will encompass many different possible issues and as such they’ll offer a low-ball price for your cracked or damaged screen iPhone. At GadgetGone we actually have a “cracked” condition category for most iPhone models (iPhone 6 series and newer). This category pays much higher than other damaged categories. Only a handful of websites offer this category so do your research before choosing a company to sell to and make sure they offer you a fair price.